The glitzy, big-city glamour of Hong Kong appeals to most tourists, and at first sight it strikes you as the Manhattan of the Orient, all twinkling towers, luxury shopping malls and glamorous locals pounding the jam-packed pavements. Hong Kong is an amazing city that is often described as the meeting place of east and west. Although there are unmistakable British influences in the city, including the architecture and the prevalence of English as the spoken language, there is still a rich and undeniable Chinese culture in the city. No other time of the year is this more obvious than during Chinese New Year. This annual celebration marks the beginning of the year according to the traditional Chinese calendar, and it is often viewed as the most important festival of the year. While Christmas is celebrated as a more commercial holiday in Hong Kong, Chinese New Year holds significance for families as a historical, religious and spiritual celebration. The Chinese also visit temples to pray for wealth and health in the coming year. According to tales and legends, the beginning of Chinese New Year started with the fight against a mythical beast called the Nian (Chinese: 年; pinyin: Nián). Nian would come on the first day of New Year to eat livestock, crops, and even villagers, especially children. To protect themselves, the villagers would put food in front of their doors at the beginning of every year. It was believed that after the Nian ate the food they prepared, it wouldn’t attack any more people. One day people saw that the Nian was scared away by a little child wearing red. The villagers then understood that the Nian was afraid of the color red. Time when the New Year was about to come, the villagers would hang red lanterns and red spring scrolls on windows and doors. People also used firecrackers to frighten away the Nian. From then on, Nian never came to the village again. The Nian was eventually captured by Hongjun Laozu, an ancient Taoist monk. The Nian became Hongjun Laozu’s mount. 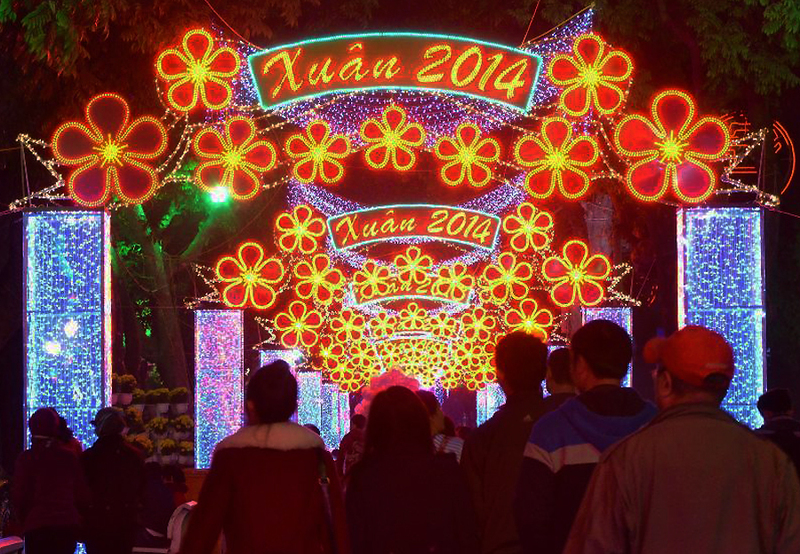 The festival, which starts on January 31 this year, is based on a combination of lunar and solar movements. It starts with the first new moon of each calendar year and ends on the full moon. This festival has many longstanding traditions and runs for 15 days, with its joyful spirit and rich history, Chinese New Year is a fascinating holiday. Chinese New Year is celebrated in countries and territories with significant Chinese populations, including Mainland China, Hong Kong, Macau, Taiwan, Singapore, Thailand, Indonesia, Malaysia, Mauritius, Philippines, and also in Chinatowns elsewhere. 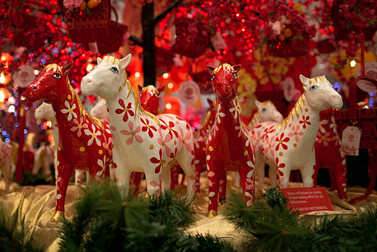 Investors won’t be able to rein in returns on the Hang Seng Index in the year of the horse, according to brokerage CLSA. The firm on Wednesday released its 20th edition of the Feng Shui Index, which is a playful forecast for the upcoming year that looks at the Hang Seng, market sectors and celebrities. The year of the wood horse will be “pure bull from teeth to tail,” CLSA said. Actually a window at Manhattan’s famed Bergdorf Goodman department store celebrates the Chinese New Year. Traditionally, the festivities surrounding Chinese New Year was known as the Nian festival (traditional Chinese: 年節; simplified Chinese: 年节; pinyin: Nián Jié), which may be understood to as “festival of the year”, or “new year festival”. A derivative term, “Guo Nian” (traditional Chinese: 過年; simplified Chinese: 过年; pinyin: guò Nián), “to pass the year”, is still commonly used to refer to the act of celebrating the arrival of the new year. An alternative name for Chinese New Year is “New Year in the Agricultural Calendar” (traditional Chinese: 農曆新年; simplified Chinese: 农历新年; pinyin: Nónglì Xīnnían), the “Agricultural Calendar” being one of the more common Chinese language names for the Chinese calendar in China. New Year’s Day itself was traditionally called Yuandan (Chinese: 元旦; pinyin: Yuándàn), literally “the first sunrise”, but in 1913 the recently established Republic of China government appropriated that name to refer instead to New Year’s Day in the newly adopted Gregorian Calendar, with Chinese New Year instead being called “Spring Festival” (traditional Chinese: 春節; simplified Chinese: 春节; pinyin: Chūnjié), which remains the official name for the New Year’s Day public holiday in both mainland China and Taiwan. Prior to 1913, “Spring Festival” instead referred to lichun, (February 4 or 5), the first solar term in a Chinese calendar year, which marked the end of winter and start of spring. We wish you a very happy new year and sincerely all the best to our Asian friends!